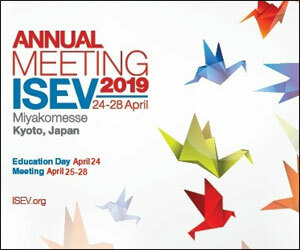 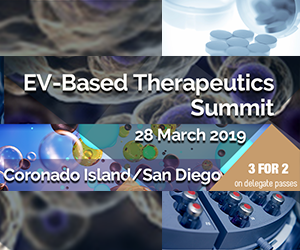 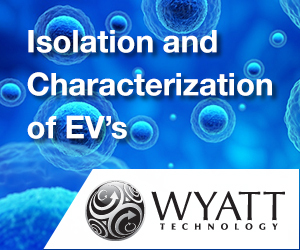 Extracellular vesicles (EVs) are a heterogeneous collection of membrane-bound structures that play key roles in intercellular communication. 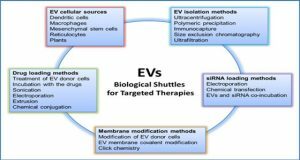 EVs are potent regulators of tumorigenesis and function largely via the shuttling of cargo molecules (RNA, DNA, protein, etc.) 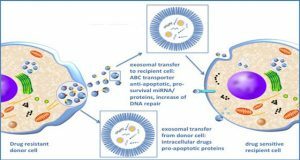 among cancer cells and the cells of the tumor stroma. 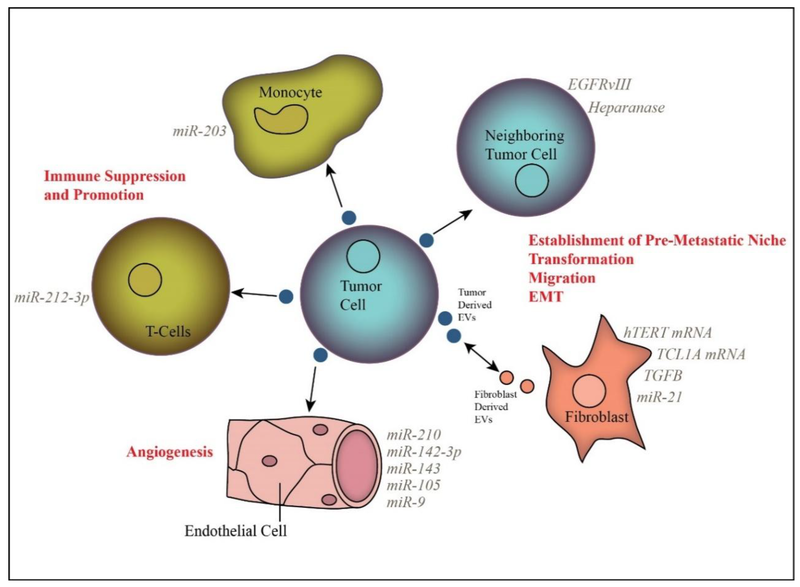 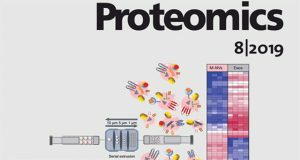 EV-based crosstalk can promote proliferation, shape the tumor microenvironment, enhance metastasis, and allow tumor cells to evade immune destruction. 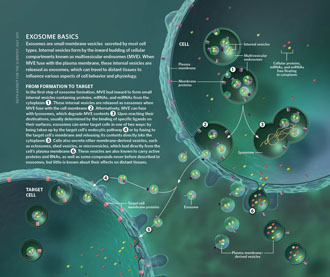 In many cases these functions have been linked to the presence of specific cargo molecules. 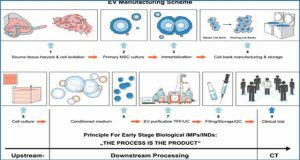 Researchers from the British Columbia Cancer Research Center discuss various types of EV cargo molecule and their functional impacts in the context of oncology. 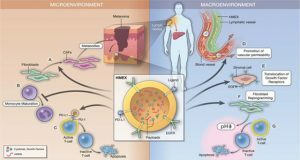 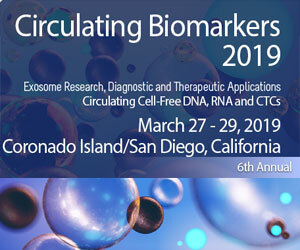 Extracellular vesicle-mediated transfer of specific cargo molecules alters the phenotype of recipient cells, including neighboring tumor cells, fibroblasts, endothelial cells, and immune cells.